Another quick trip! I know I can house a good portion of food in a short span of time, but what I'm truly looking for is quality! My first stop was a disaster. I needed to see the promenade first (i.e. 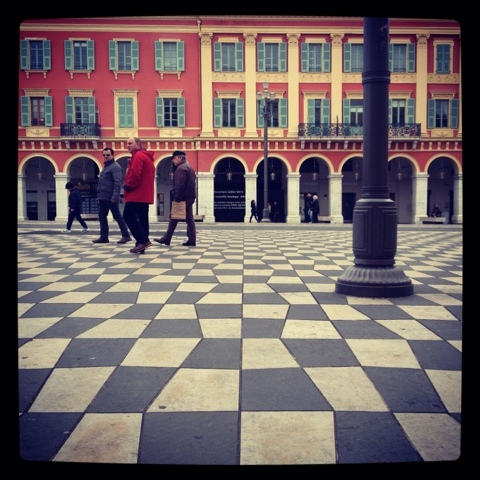 Times Square of Nice? ), since my hotel was just a few blocks away. 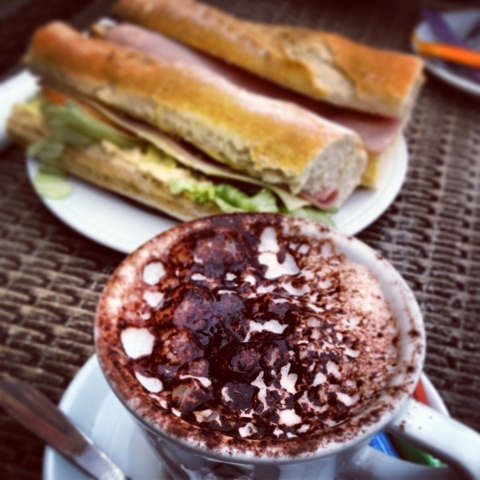 I am hungry so I do the tourist thing (I never learn) and sit myself down at a cafe facing the promenade and order a baguette with ham and cheese, and a cappuccino. Grossy! I was impatient and intolerant of mediocre food. What a waste of my appetite! My mission continued. 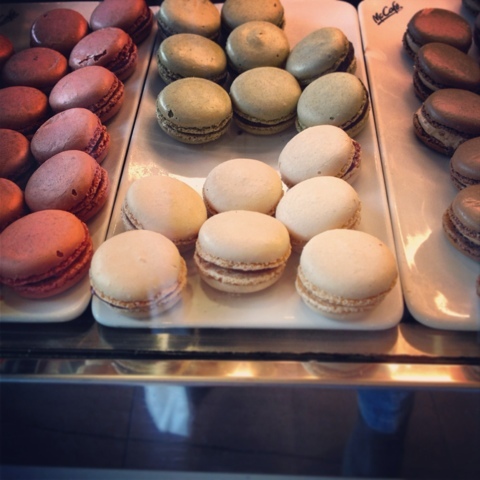 I found macarons in a variety of flavors such as pistachio, chocolate, and strawberry. They brought tears of joy to my eyes, though they were from McDonald's.....classless, girl. Finally I reach my proudest moment in Nice. 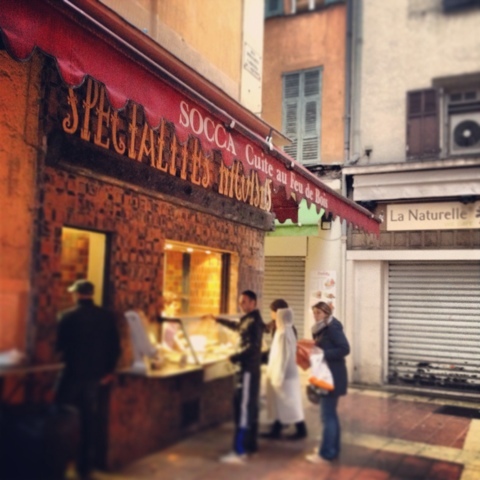 I discovered socca! 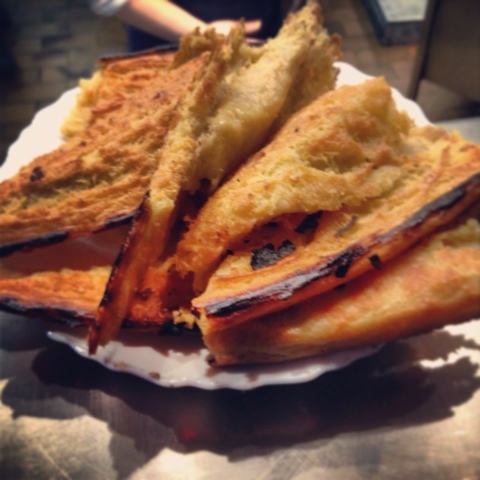 It’s a kind of genius French street food found at open front shops around town. Cooked in a large round steel plate, it’s a chickpea pancake with crispy savory edges and a sweet custard-like center. A whole plate of socca scrapings from a small shop called Socca Cuite au Feu de Bois in Old Nice cost only €3, and I was stuffed afterwards. The rest of the trip involved rosé. Lots of it. 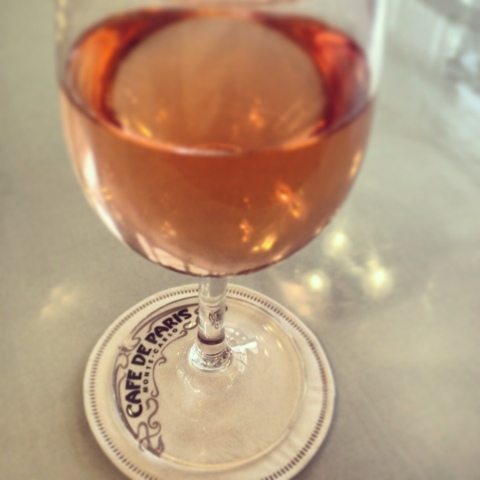 A rosé at the cafe, a rosé in Monte Carlo, a rosé with dinner. It's light and easy to drink any time of day (wouldn't I like to think so). 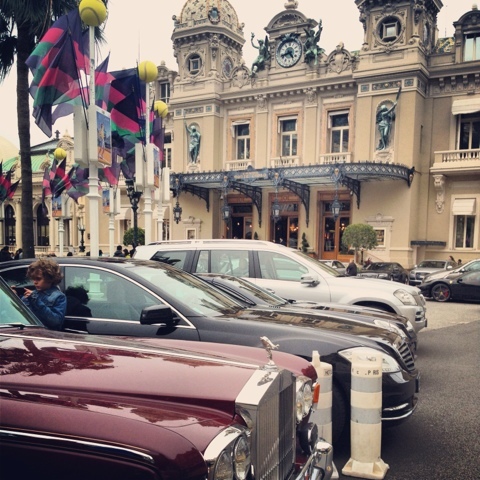 A round trip ticket to Monte Carlo, Monaco, was only €7, and in 20 minutes I was in the ritzy town with luxury cars and designer shops at every corner. 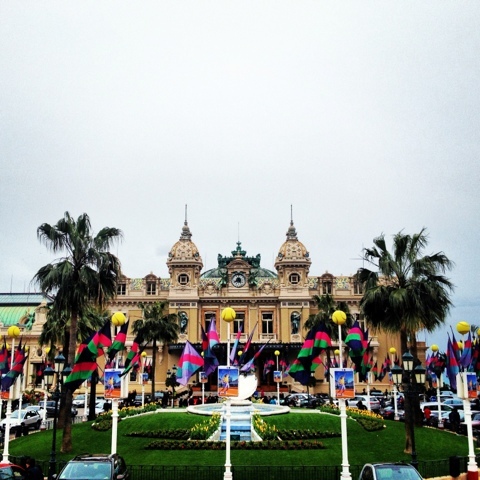 The Monte Carlo Casino was huge on the outside, but the actual casino that I saw inside was small. 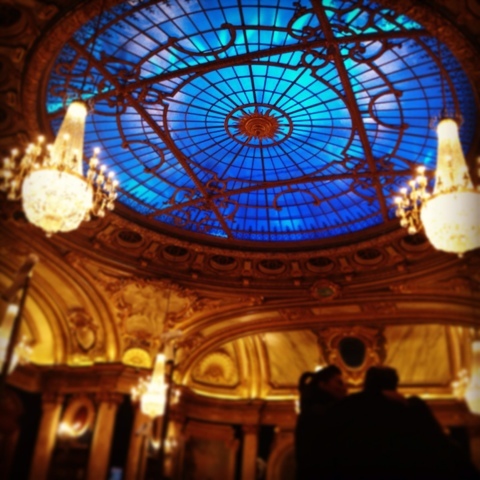 I lost €20 on a slot machine, decided I'm better off at the bar with a rosé. In the morning, I paid a visit to the grocery store before my flight home. I just had to have a French baguette the right way. With some cured ham, French cheese, and cherry tomatoes, I had a homemade sandwich and left for the airport full and content with knowing I reached at least 60% of my food goals. 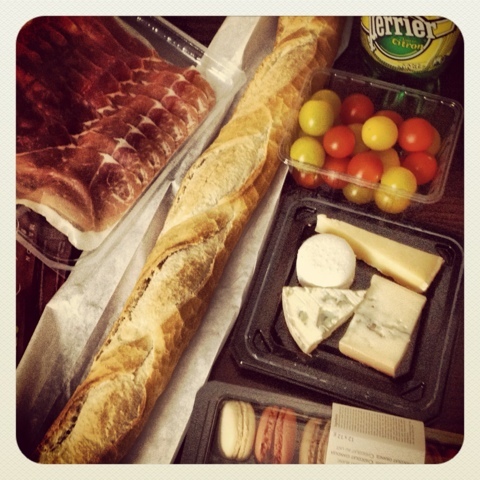 Next time, I take on the Niçoise salad!